Cushendun Building Preservation Trust (CBPT) was established in 2006 to save this lovely little 1840's, B1 listed former Church of Ireland Church and give it a new lease of life as a much needed community, heritage and arts space. 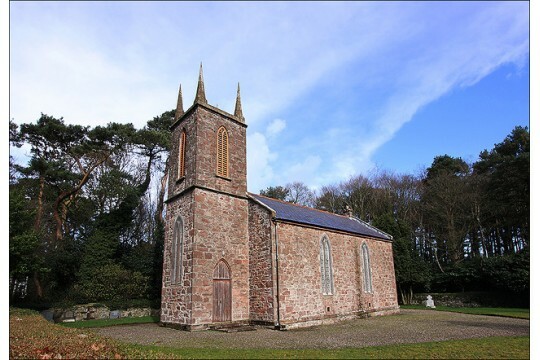 When restoration is complete Cushendun Old Church will provide a beautiful venue for the community and visitors with a programme of workshops, classes and events and will provide information about the rich cultural heritage of the area. CBPT is a community led organisation and the Old Church project reflects local needs. By providing a venue for a community cinema, wellness classes, music, and many other purposes the Old church will be not just a shared space, but also shared experience.The project will also bring many direct and indirect economic benefits to the area by providing tourist information, attracting visitors and will also be available for hire for weddings which will create new business opportunities. We would benefit from a volunteer with accountancy skills to help keep financial records. To restore and refurbish the building every penny counts.